An entire bollywood movie shot in Vadodara is ready to release in over 800 plus multiplexes all across India on 2nd of June. 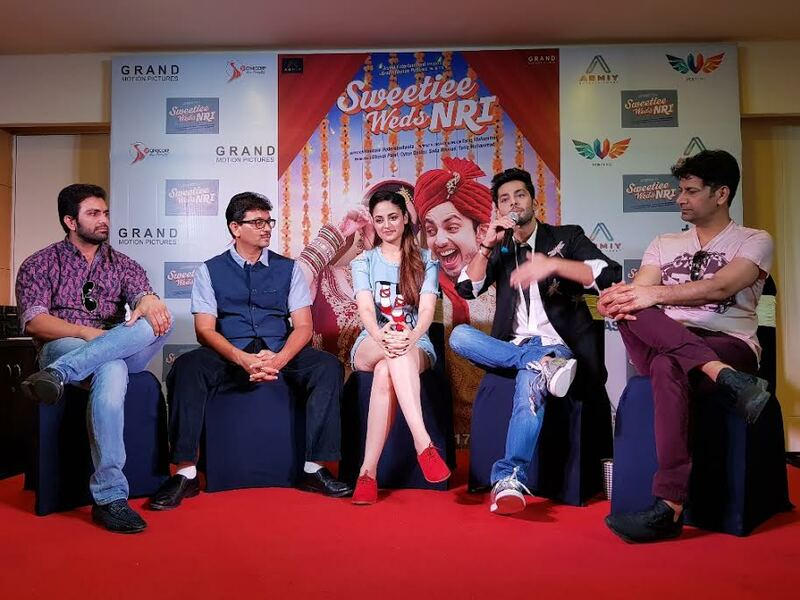 The star cast of ‘Sweety Weds NRI’ is in Vadodara to share their experience about staying in the cultural city and shoot the film amongst the local people and popular locales in and outside the city. Made under Asmiy entertainment and Grand Motion Pictures Mumbai the director of the movie Dhaval Patel is from Vadodara and he decided to shoot his first bollywood film in his own city. The idea is to spread the gujarati film industry to grow and explore the state for beautiful locations to shoot a film. “We are from Vadodara and the idea to shoot the film here is to boost the film industry to grow in Gujarat. The government is talking about cinematic tourism and we in the film fulfil it as we shot the movie in historical places like Champaner and that helps the tourism to spread. The movie is a clean innocent movie and we complete the film in 40 days in Vadodara city and adjoining areas,” said Patel. The film is about two Gujarati families in which the NRI boy came to marry a Gujarati girl. The film flavour is Gujarati and a old pop song ‘Dil Le Gayi Gujarat Di’ is recreated again and sung by the original singer Jasbir Jassi. 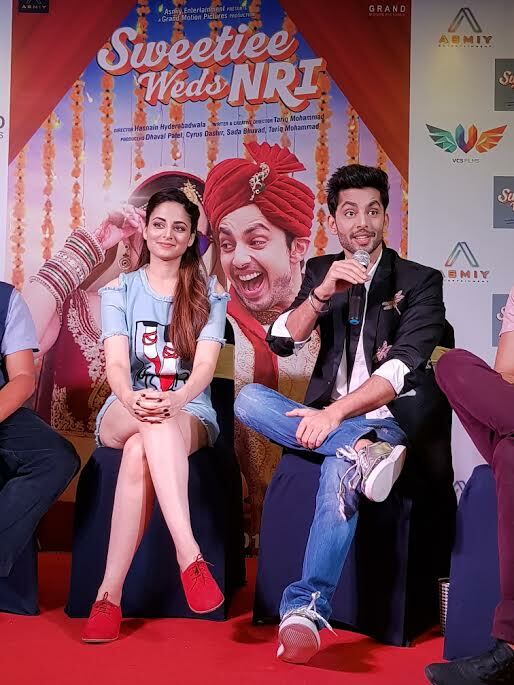 Yaariyan fame Himansh Kohli plays the role of the Gujarati NRI boy and model actress Zoya Afroz plays the role of Gujarati girl in her second film. Himansh said that the film is crazy and first time he is playing the role of a Gujju boy in a movie. He said that he is lucky as an actor to work with different producers and this time he explore the cultural city of Gujarat through this movie. The songs are beautiful and its a fun loving film for every age people. Zora Afroz who plays the charcter of Sweety Desai in the film said that she sign the film just because of the story and the script. The film has everything from love, drama, bonding of father and daughter and fight of Sweety and Akash. She said that they enjoy the 40 days of shoot in Vadodara and the role she plays is of light hearted fun loving Gujarati girl. The film is slated to be release on 2nd June in over 800 plus multiplexes all across India.